It is important to recognise animals as individuals and as such not all will respond the same to any training technique implemented. This is where it is important as a trainer to have a toolbox of available behaviour modification techniques, and to be able to step back and reassess the situation after implementation of a program. 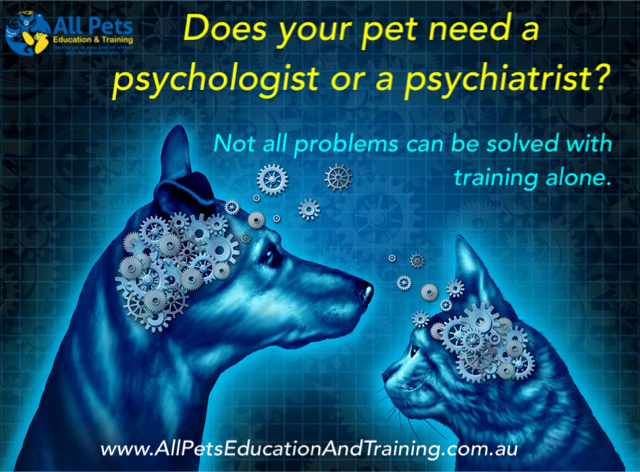 If the program hasn’t had the desired effect, the trainer should be able to modify the plan and reassess again or refer to a veterinarian with a behaviour qualification. In the animal training world there is, unfortunately, no regulatory body that governs who can identify as a trainer or animal behaviourist – however it is important that you do your research and find someone with the same ethos as you and qualifications to back them. Whenever working with any animal, there is no need for the use of aversive techniques, and this is especially important in an animal that may have mental health issues as this will just serve to worsen the problem. As for veterinarians with behaviour qualifications you will find they have undergone further continuing education and assessment. You will also find that they usually hold one of the following qualifications with behaviour as their specialty. As a trainer, it is important to recognise my role when helping an animal (and of course their owner) when looking after and assessing an animal in my care. Only a veterinarian can make a diagnoses of mental illness, however as a trainer I can and should recognise when things are not progressing as planned, or when alarm bells ring that indicate perhaps this isn’t a problem that can be simply solved with behaviour modification. You should liken a dog trainer as the equivalent of a human psychologist, and a veterinarian with behaviour qualification as the equivalent of a human psychiatrist. When do I refer? And when should you consider asking for referral? If you do see a veterinarian with behaviour qualification, they may prescribe medication. It is important you follow their directions and any follow ups required for blood biochemistry testing etc. Any changes to the medication should only be made under veterinary guidance. However despite referral to a veterinary behaviourist, and perhaps implementation of medication, you are likely to still require help with behaviour modification. This is where your veterinarian will work in conjunction with your trainer. Just like behaviour modification may not work alone, medication alone is also not the cure. If you are referred to a veterinarian for further work up, please do not feel that there is something wrong with your dog, or that you are “drugging” them if medication is recommended. The use of medication for behaviour problems should never be considered a last resort. An animal that is in constant states of stress etc. is unable to learn effectively and may suffer from health problems as a result as well. When an animal experiences stress, they release a steroid hormone called cortisol. The cortisol can damage the part of the brain related to learning and memory called the hippocampus. When cortisol levels remain elevated due to ongoing stressors, almost every system within the animal’s body can be pathologically affected. This includes cardiovascular (heart and lungs), metabolic, reproductive, gastrointestinal, immune system and integumentary system (skin). The results of this sustained increase in stress include myopathy (muscle weakness), fatigue, hypertension (elevated blood pressure), gastrointestinal distress and weakened immune system that results in increased risk of disease. Chronic stress can also lead to structural and functional changes within the brain, and in extreme conditions these damages may be permanent. (Staff, 2017). I am not embarrassed to admit that I have a dog, and I have been his care giver since he was 8 weeks old. Despite controlled exposures from day dot, positive reinforcement training, the use of dog appeasing pheromone throughout his life and behaviour modification he developed anxiety. I recognised that he was under duress, and sought the help of veterinarians with behaviour qualifications for advice. He has been started on medication, which has allowed his brain to take a time out from the stress, and behaviour modification can now be implemented with success. His anxiety is also made worse by the fact that he is in chronic pain, so seeking specialist help to try and manage this has been paramount as well. 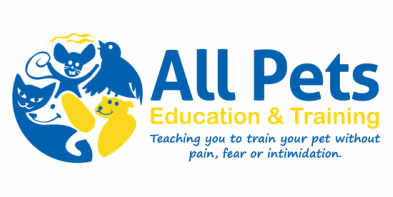 If in doubt please feel free to discuss your concerns with either myself, your current trainer, your regular veterinarian or a veterinarian with behaviour qualifications. If you would like a recommendation for a veterinarian with behaviour qualification, please let me know – I work with a few. Perth’s Behaviour Veterinarian. (2017). Perth's Behaviour Veterinarian : solving Dog and Cat Behaviour Problems with Science + Compassion. [online] Animalsense.com.au. Available at: https://animalsense.com.au/why-medicating-shouldnt-be-the-last-resort/ [Accessed 31 Jul. 2017]. Pet Behaviour Vet. (2017). Why a Veterinary Behaviourist? - Pet Behaviour Vet. [online] Available at: https://www.petbehaviourvet.com.au/aboutus/morethanadogtrainer/ [Accessed 31 Jul. 2017]. staff, d. (2017). The physiologic effects of fear. [online] dvm360.com. Available at: http://veterinarymedicine.dvm360.com/physiologic-effects-fear [Accessed 31 Jul. 2017].